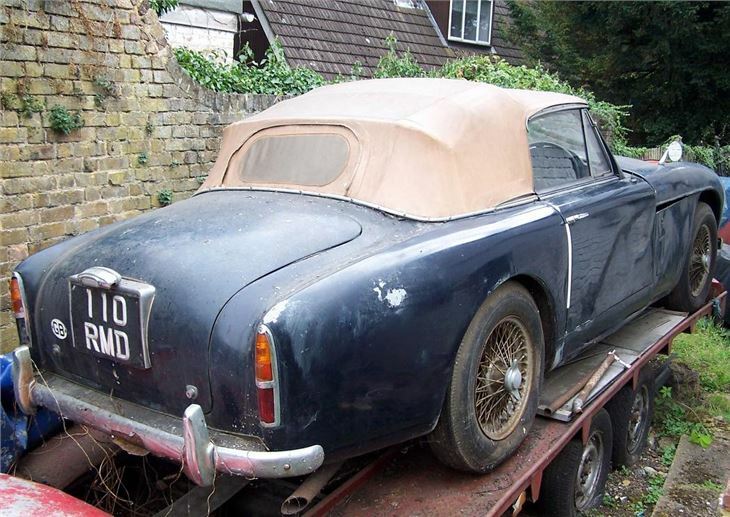 A ‘lost’ 1958 Aston Martin DB2/4 MkIII drophead, originally the property of former Aston Martin owner David Brown, which has spent the last 30 years hidden beneath a tarpaulin, sold for over £206,000 – more than twice its top estimate – at Barons British Heritage sale at Sandown Park on September 7th. 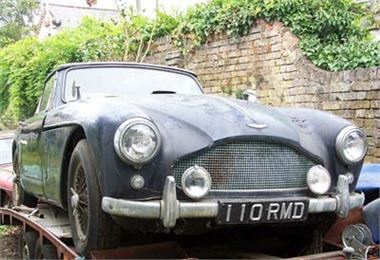 This extremely rare car - now a rolling restoration project - emerged after three decades to present investors with an extraordinary opportunity to acquire and restore a true piece of British motoring history, a vehicle originally owned by the man whose initials were given to the legendary Aston Martin ‘DB‘ models. Interest in the car came from around the world, and bidding rapidly exceeded the £80,000-£100,000 guide price. When the hammer finally fell, the successful bidder, a private British collector, paid £206,866 (including premium). With a sale total of around £700,000 plus premium, it was an outstanding result for Barons. Other notable results included ‘KUU 333D’, the actual 1966 Lotus Cortina used by Corgi as the basis for its popular Corgi Classics model, which achieved £40,250. Fittingly, the buyer also acquired one of the Corgi models of his new car in the same lot. And a fine 1957 Daimler Conquest Century DHC sold to an Austrian bidder for £29,000 – an exceptional price for the model. 1965 Mercedes 230SL Pagoda £15,768. Next Classic Car auction in Surrey is Historics at Brooklands auction on the afternoon of September 25th, call 0800 988 3838, e-mail: auctions@historics.co.uk, or see the website, www.historics.co.uk. Entry by catalogue only, available prior to, or on the day of the auction. Barons’ next sale is at Sandown Park on October 26th. For further information, please visit www.barons-auctions.com, email info@barons-auctions.com or call 08454 30 60 60.